Iyabo Ojo biography,her daughter and the Maka Ray affair stories. 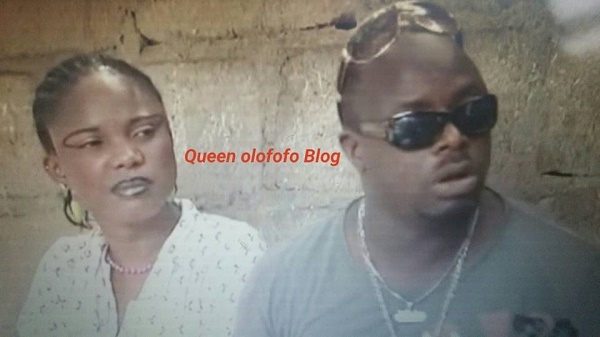 Iyabo Ojo and Muka Ray for a long time were subjects of interest for Yoruba movie lovers.Talk was that even though Muka was married,they were having an affair.The fact that they appeared in films together constantly,didn't help in defusing the rumour.Now some are saying the fact that 39 year old actress had dated him while he was clearly married,is one of the reasons why she is advocating men cheating are not necessarily bad men.This was the opinion she expressed on Nigerian social media.Some agreed with her while some said she had low self esteem and that women like her are the reason why so many men cheat. Iyabo Ojo husband.As you might well know was married once but got divorced.She went on to claim that the marriage was not based on love and that he only married her because she was pregnant.She has two grown up kids from the relationship.A boy and a girl.Her daughter in particular is well known on social media due to many pictures they take and post together.There is clearly a lovely bond between mother and daughter. Now back to that advise she gave to women that not all men who cheat are bad,here are some of the interesting points she made:'Ladies, Not every man who cheats on you is bad! it's in their nature to cheat as every man has a bit of it deposited in them. He may love you but still cheat on you, as long as he respects, care and keeps it far away from you. it's a twisted world my dear but that's just the fact'. 'If you find one who doesn't cheat on you then you are extremely blessed but A man who makes you feel less of your self, a man who enjoys seeing you beg and wail, a man who doesn't care if you fall into depression a million times until you run mad, a man who makes you feel like nothing, a man who throws your love back to your face at every given opportunity, a man who feels you are so unattractive that he doesn't want to take you out anymore giving you that low self esteem, a man who never appreciate anything you do for him, a man who feels your opinion doesn't count, a man who feels you should be seen and not heard, a man who feels without him you are nothing, a man who will only have you when he wants you, a man who doesn't fight for you, a man who condemns you to his friends and side chicks, a man who looks at you with so much irritation, a man who flaunts his side chick in front of you, a man who is physically & mentally abusive towards you and sometimes your kids, a Man you have to always beg to perform his manly duty before he agrees to touch you! That man is so bad and so wrong for you. 'Stop asking me what should I do? Oh the society and my friends will mock me, oh my kids! Hello woman, wake up he doesn't love you, stop looking for excuses for him, his love was never real in d first place, Mrs is not a do or die matter, your happiness should always come first, you should always come first, it's only when you are in the right frame of mind that you can take good care of your kids. For the record, mothers who vent their anger on their kids for failed husband issues should stop it! No be them send you message'. 'You made d choice and it turned out wrong, you can always make it right without him! You either die trying or take a reality check and walk out! it's never too late! If you stay in it well - all the best! Its a lost battle and you are on your own. Your happiness must always come first if you truly want to live for your kids and yourself. Interestingly,when asked about the relationship between the two,Muka denied there was anything.He further said his wife knows the relationship between them is purely business.He was also asked if he would have married her had he not been married already.This journalists sef,they do ask you stupid questions at times,anyway,he did not fall for that trick. He replied that he could not marry or propose to her even if he was single because celebrity marriages do not work. Let's discover more by checking out Iyabo Ojo biography.The actress was born on 21 December 1977 in Lagos(making her 39 years of age at the time of this article),her father is from Abeokuta. She has two other siblings and she is the youngest,having two older brothers. She went to school in Lagos at National College, Gbagbada,then studied Estate Management at Lagos State Polytechnic. Her acting career began in 1998. Speaking on how she started,she said: "So after I had come of age, I went to Bimbo Akintola, after watching one of her movies ... and told her that I wanted to be an actress and she did help me. Through her guidance, I registered with the Actors Guild of Nigeria (AGN) and afterwards she took me around, introducing me to a lot of the people she knew in the industry." Although she is mostly known for her Yoruba film roles,her first role was in 1998's Satanic, an English-language film.It was not until 2002,that she made her Yoruba-language debut with Baba Darijinwon. In 2004,Iyabo started producing her own films, her first production being Bolutife, after which she made Bofeboko, Ololufe, Esan and Okunkun Biribiri. On May 2011,she launched her NGO, Pinkies Foundation, which caters to the children with special needs and the less privileged.